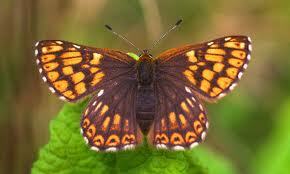 In this section you will find subject knowledge about butterflies. One of the most charismatic and engaging of insect groups, they are of course also one of the most noticeable for children. Having a little extra subject knowledge up your sleeve will be of especial help to minibeasts and habitats topics, but also evolution, and across the curriculum generally. 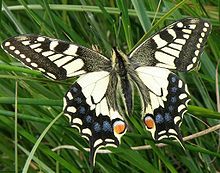 A lot of people can pick out a Cabbage White and a Peacock, but did you know that there are 58 resident species of butterfly in the UK? Depending on your location, a surprising number of these could turn up in your school grounds. Impress the kids with your knowledge! Butterflies worldwide are divided into families. In Britain we have representatives of most of these. PIERIDAE – ‘Whites and Yellows’. Most of these are, well, white or yellow. The cabbage White (or ‘Large White’) belongs in this family, as do it’s similar relatives the Small White and the Green-veined White. Two familiar spring species also belong here, the neon-yellow ‘Brimstone’ and the delightful ‘Orange Tip’. Small butterflies that are easier to miss, but worth looking closely at. Many of them have blue upperwings of varying shades, while the small copper is a perky orange butterfly. The hairstreaks are more elusive, preferring the tops of trees to flower beds. 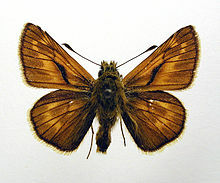 NYMPHALIDAE – ‘Aristocrats and Fritillaries’. After the cabbage white, if you see a butterfly it is most likely a Nymphalid. Red Admiral, Peacock, Small Tortoiseshell and Painted Lady all belong here, their large size, and colourful charisma earning them the group nickname ‘Aristocrats’. Also within Nymphalidae are some more scarce woodland and grassland butterflies, the fritillaries, which have orange and black spotted wings. Mostly common but overlooked. Mainly brown. All these species lay eggs on grass, which accounts for their general abundance. Their unfussy demeanours extend to flying times: you could spot these in the evening, or even in the rain! There is only one member of this family in Britain. A real oddball, the ‘Duke of Burgundy’ is the only European member of a South American family known as ‘metalmarks’ because of their shiny silver, gold or bronze wings. A funny bunch, the skippers sit right on the extremely blurred line between butterflies and moths (a future post!). 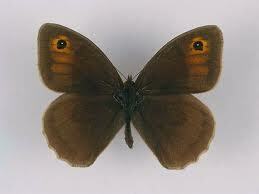 Small, brown and undeniably moth-like, they get their colloquial group name from their quick, skipping flight.